South Africa have been accused, and with some reason, of being too one dimensional in the past. They have a plan, and they stick to it, and generally execute it well. It’s why they have risen to the top of Test cricket, and been ranked first in both ODI and T20 cricket in the recent past. It also may be why they’ve never won a World Cup. Despite going into tournaments as the form team and favourites they’ve always fallen short, losing a key moment that sees the dreaded “c” word thrown around. At the last T20 World Cup they decided to change things a bit and went in the complete opposite direction – too much flexibility. They had a fluid, floating batting order, with the opposition, and it seems the players themselves, never knowing who was coming in next. Balance has always been a buzz word in teams, and this is what the Proteas need, balance in their approach, balance between structure and flexibility. Although the recent T20 series against Australia was spoiled by the weather, it did give an alarming indication of what the Proteas plans may be in the World Cup – a regression to the past inflexibility. They seemed to have had everyone down from 1-11 and nothing was going to change that. In the opening game, with it being only 7 overs each side, they sent their usual openers in with Faf Du Plessis in at 3. All indications were that JP Duminy would be in next if needed. No AB De Villiers, David Miller or Albie Morkel in a 7 over shoot out? The next game saw AB in at 5, followed by Miller and then Morkel. The batting order is going to lose South Africa this World Cup. AB de Villiers is not only South Africa’s best batsman, he’s the best in the world. So why is he coming in at 5 in a 20 over game? Because he does it for his IPL team and has been a destructive finisher with a quick 30 and the occasional 50. This is a World Cup, and they have a chance of finally winning one! The batting order should be built around AB, with him coming in at 3 to face as many balls as possible, and everyone batting around him. If AB bats for over 30 balls you generally end up with a good score. At 5 he either has to come in and have a slog after a good platform has been laid, or perform a rescue act if it’s been a bad start. He’s wasted at 5, and needs to bat at 3. It’s that simple. The idea behind the Proteas batting lineup is that the foundation is laid by the openers, Faf and JP, and AB, Miller and Albie are the finishers. Sound logic, but this is T20 cricket! Get AB in their sooner, and you still have JP, Miller and Albie to finish! That being said their is a case for Miller to be moved up the order too. He’s a match winner, and can’t win matches facing 8 balls, batting at 6. He bats at 4 for his franchise the Dolphins and has been amazingly effective there. If wickets are lost early, hold him back, send JP and Faf in ahead to work the power play, but then get him in after the 6th over. He’s a destructive batsman, but not from ball one, give him an over or two to play himself in, and then sit back and watch the fireworks. AB and Miller are South Africa’s match winners. Don’t hide them at 5 and 6, get them in earlier, let them control the game, and then take it away from their opponents. 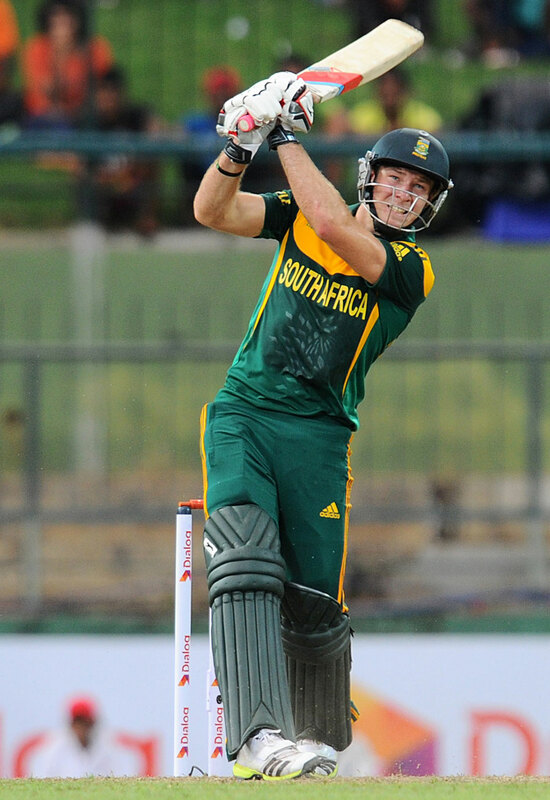 The weapons are there, use them correctly and the Proteas could just win a World Cup at last. The Protea’s don’t play another Test until the middle of the year when they take on Sri Lanka, the last team to beat them away from home, back in 2006. The selectors and board, rightly, have decided not to name the new Test captain, the man stepping into Graeme Smiths enormous shoes, until they’ve weighed their options. Those options have been spoken about in great detail since the shock announcement of Smith’s retirement. 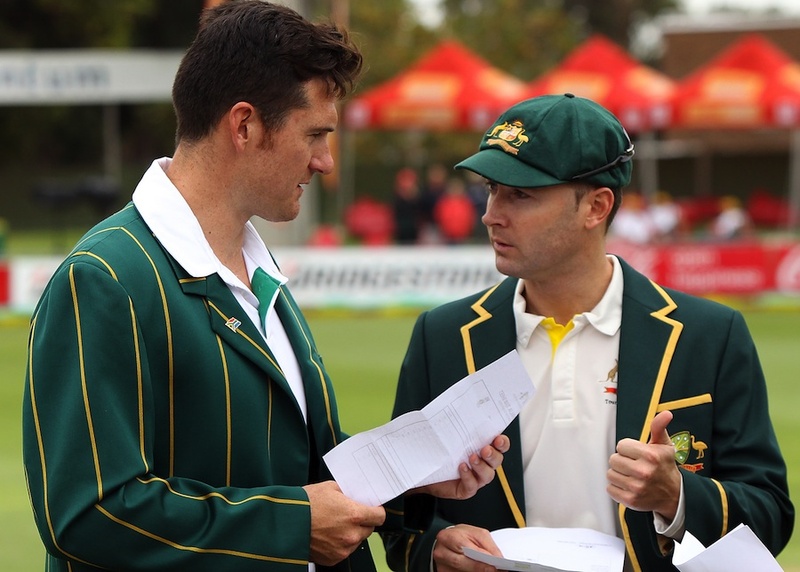 In the 23 years since South Africa re-entered the Test arena they have only had 4 official Test captains, Wessels, Cronje, Pollock and Smith. So who will be the 5th man to lead the Proteas Test team, and look to continue their reign as the number one ranked team? By all accounts there are only two options. 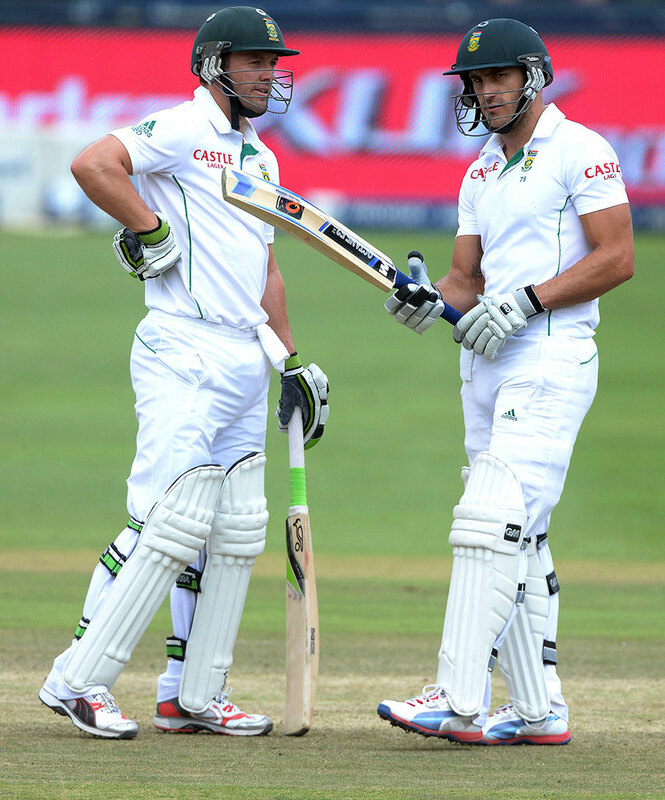 AB de Villiers is the vice captain of the Test team an captains the ODI team, and Faf du Plessis is the T20 captain. Within those in the current squad Hashim Amla and Alviro Petersen have also captained to a degree at domestic level, and Amla has captained on occassion and been vice captain of the national side. However Amla relinquished his role as vice captain because of his wish not to take up the full role when it became available, and to concentrate on his batting. Petersen’s role in the first eleven isn’t as automatic as would be needed to captain, so he would be ruled out. So really there are only the two choices, AB or Faf. AB is the natural choice, and as vice captain the progression should see him step up to the full role. He’s been the ODI captain since 2011 and although he has struggled with the change and demands the role requires he has matured and grown into it, and has worked closely with Smith for a number of years. The problem with AB captaining is the triple demand it throws on him, as captain, top order batsman and keeper. He won’t be out of the game at all, and the mental drain could have effects on his batting and keeping. It’s not to say it can’t be done, MS Dhoni does it for India. The difference being AB bats at 5 and Dhoni at 7, and AB is his teams best batsman, while Dhoni has that responsibility shifted to those up the order. It could be done for a short while as they identify who the next keeper will be, and I wouldn’t be surprised to see AB don the gloves in Sri Lanka, keeping in the Subcontinent is a lot different to keeping in SA, and the new keeper be introduced at home against the West Indies in December. What that doe suggest though is that AB will have to give up the gloves if he is to captain the team. It’s already happened in the shorter formats, AB was the keeper but did find it difficult setting fields, rotating his bowlers and keeping up with the pace of the game while keeping. He has twice been warned and suspended over slow over rates. As captain it’s often easier to up to speed with the game and the batsman when fielding at mid on for example rather than standing behind the stumps. The ODI and T20 gloves have been handed to Quinton de Kock, and outrageously talented young batsman, who is surely destined to be one of South Africa’s next great batsman, but a young keeper non the less. He’s only played 21 First Class games, and has not kept in all of these. With him looking to play a big part in the Proteas plans for the next World Cup, there is a school of thought that says don’t throw the Test keeping burden on him just yet. He made his Test debut against Australia and showed his youthful inexperience when throwing his wicket away late in the day to give Australia an opening. However you only need to go back to Mark Boucher, who was thrown in at the deep end as a young keeper in Pakistan to make his debut, with many saying his keeping wasn’t up to the standards of an international Test keeper. He ended his career with 999 wickets as a keeper (and one as a bowler, giving him 1000 international wickets) and the Test record for keepers. With South Africa losing the experience of Boucher, Kallis and now Smith in the last two years it may be the perfect opportunity to blood someone like de Kock. De Kocks first class average of 48 also means he’d fit the balance of South Africa playing 7 batsman, and allow AB to even move up to number 4, where he’ll get more chances to play longer innings. The balance of the team won’t be effected, de Kock will get time to grow into an international keeper, and AB will bat higher – all good for the team, and all good for AB’s case to be the next captain. The case of Faf would be built more on the lines of AB staying as keeper. Although he does have a lot of respect within the team as a leader, and has done a good job of leading the T20 team. This months T20 World Cup may be a reason why the selectors have decided to wait in naming the captain, as a Proteas win, their first in a World Cup, would be a strong case for Faf to take over the Test team. He’s also captained the Titans at domestic level, something AB has not done. The counter to that would be him not having a settled slot in the Proteas batting line up. Having batted everywhere from 4 to 7 in is short career, you’d want him to establish a role within the team before throwing the captaincy at him. He was earmarked as taking over from Kallis at 4 in the batting line up, but was then moved down the order 3rd Test against Australia. A lot will depend on how he handles the pressure of captaining a South African team at a World Cup in the next few weeks, the outcome of which could have a baring on which way the selectors lean. Both are strong candidates for the job and will not let anyone down. However if I were asked to decide today, I’d hand the captaincy over to AB and get de Kock the gloves, and usher in a new era in South African cricket, with a new captain, and a talented young batsman-keeper who could end up being the next Gilchrist. We’ll have to wait a while before we know which way the selectors will go though! When you play in the subcontinent you’re going to get a pitch that looks like a day 10 pitch on day 4. It will be a dust bowl, devoid of grass, and turning sideways, with inconsistent bounce. When you play in England you’re going to get a pitch that’s conducive to swing, a pitch that moves the game forward quickly with play lost to to rain expected. When you play in Australia you’ll get a fast bouncy wicket. You don’t know what you’re going to get in the West Indies these days, anything from a fast and bouncing track, to a flat road. Home ground advantage is expected and pitches are prepared for the home team. It’s why the Subcontinental teams are tough to beat at home, but travel badly, it’s why England do well at home, and not really anywhere else, and it’s why Michael Clarkes Australian’s hadn’t won away in years. So why don’t South Africa prepare pitches to favour their team? It used to be because of “fairness.” We’ll play on what’s in front of us, and it will be an equal contest between both sides. Just like cricket should be. Then it was, “yes everyone else is doing it, but we won’t stoop to that.” The time has come to stoop. It’s the way the game has gone, and not just the modern game, but the way it’s been for a while now. This Proteas team has prided itself on being the best, the most consistent team, and rightly the number one ranked team. A loss to Australia didn’t really dent their rankings such was the lead they had racked up. Their away record has been particularly impressive, having not lost an away series since touring Sri Lanka in 2006. The ability of the batsman to play in all conditions, to adjust their technique to the pitch, and quickly, coupled with the attacks ability to get assistance from even dead tracks has been reflected in their climb to the top, and their hold on it for 20 months now. If they actually started getting help from groundsmen at home they’d be up within reach of the West Indies team of the 70’s and 80’s and the Australian team of the 2000’s. The Windies were unbeaten for 15 years and 29 series. The Australian’s unbeaten in 16 series. This Proteas team falls into 3rd spot with 14 series unbeaten, before Australia come to South Africa and beat them 2-1. Australia bookend their run having also won 2-1 in South Africa in 2009. It could have been different had South Africa got pitches to suit their team. Instead of pitches that assisted Vernon Philanders subtle movement, Morne Morkels bounce and Dale Steyns swing, they got a Mitchel Johnson track in Pretoria, a pitch that helped no one at St Georges Park, and a Newlands deck almost allowed them to escape with a draw with its flatness on day 5. In the old days you’d come to South Africa and have a seamers paradise on the green top in Durban, a pitch that offered some turn for the spinners in Cape Town, and a good batting pitch with some bounce and carry in the Highveld. Something for everyone. It’s time South Africa started preparing pitches to suit their attack in every match. Groundsmen should be consulted early enough in the season and told what type of pitch to prepare for the match, given the season, climate and opponent in mind. It’s not because everyone else is doing it but because it should be done and there’s nothing wrong with it. You should have an advantage when playing at home. You shouldn’t lose to an Australian team when preparing pitches to suit Mitchel Johnson who’s just destroyed England at home. You shouldn’t be looking at the stats after a series and seeing that Vernon Philander, the number two ranked bowler in Test cricket, has gone for over 50 and has had the worst bowling record in a series of his career. South Africa may be way in front at the top of the Test rankings, but there are some things they can still learn from the other teams. Let’s hope the next time they play at home they’ll enjoy South African conditions. So South Africa, despite beating Australia away in their last two series there, are still to beat them since readmission at home. They came pretty close to another drawn series, 4 overs close, but Australia struck at the end to win the series, a series that really should be longer than three matches. What’s really stood out for me in this Australian side, bar one idiot, has been the spirit and class which they have played. All three Tests were hard fought and took the on field battle to the edge at times. Australia don’t play quiet, it’s one of the reasons they have been dominant in the 90’s and early 2000’s – a mental disintegration of there opponents that takes place before and during each match. Back in the 90’s and early 2000’s South Africa have had teams that could compete skills wise with the all conquering Waugh and Ponting teams, but mentally were found wanting in the 50/50 plays that decide matches and series. This is an altogether tougher Proteas team, thanks to Smith, and crossing that barrier has lead to series wins away in England, Australia and the sub continent. So to see the emotion and fight out on the field between the two teams was evidence of the passion they have for their countries and their sport. Knowing where the line is, is as important as knowing when to attack and fight, and when to step away. This is where Michael Clarke has lead by example, and bar David Warner, the rest of his team have followed suit. 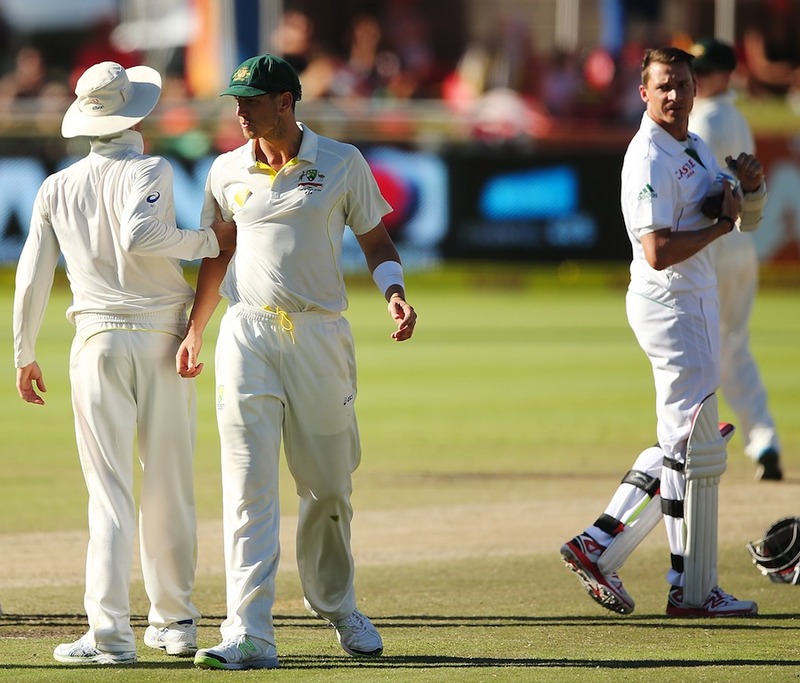 Mitchel Johnson and the attack would try and take your head off, snarling fire and were never short of a suggestion to the batsman, but each milestone passed by the batsman was met with applause and a handshake when they walked from the field. They recognized the spirit of the game and gave respect to who they were playing. This class within the team was no more evident than after Warner had made a few stupid remarks about AB de Villiers treatment of the ball in a press conference, and Ryan Harris later told reporters he didn’t think the Proteas had done anything wrong, they were just better at executing their skills than Australia were in that lost Test. On the perhaps the tensest day of the series, the last day of the deciding Test, after Australia had a decision overturned on review, emotions were high, with South Africa doing a brave job of battling for a draw and Australia tireless running in trying to get the win, their were a few words said between the Australians and Dale Steyn, with Clarke getting involved and the umpires having to separate them and have a word with Clarke about their behaviour. In the next break in play Clarke was seen going up to Steyn and apologizing. In the heat of a passion and emotion filled day things are said, and lines crossed, but recognizing when you’ve stepped over and addressing that is a class move, and Clarke showed plenty of that throughout the series. At the post match press conference he was again apologetic and took full blame and responsibility for it. Teams have been used to be sledged, bullied and pushed around by Austalian sides in the past, sides that had the beating of others in terms of skill, but also on the mental side of the game, not allowing soft teams an inch. It has left things bitter in some regards, there’s no love lost between Harbajan Singh and the Australians, but when a side lead by someone like Clarke, and a side that follows his example, plays in the correct spirit, hard but fair, you can’t help but show a bit of admiration. Even if they are Australia. There’s been a tendency amoungst South African’s to not give our sports stars due respect. We tend to hide behind the bumbling line of keeping them humble and grounded. It’s the casualness of the South African spirit that leads us to want to treat everyone as equals when the rest of the world hoists them as high as possible. It’s that sense that they, as sportsmen and women, are doing what we’d love to be doing, and getting paid, so why should I look up to them. We’re a sports mad country that likes nothing better to do then have a braai and watching our teams. That’s the meat of it. We support our team, and not the individual. Sometimes individuals bring teams together, sometimes they rescue teams, and sometimes they lift a nation. The team ethos is admirable and comes from a good place, but why not show pride and respect to our heroes? We’ve had the world greatest all rounder, and our best ever batsman, Jacque Kallis retire recently, and he’s the prime example, a player who was revered more outside his own country than in it. Now that he’s no longer playing and we move forward trying to fill that gap cricket fans in South Africa will begin to realise just what a special player he was. The same can be said for Graeme Smith, probably the most divisive cricketer in the country. Picked as captain at just 22, the brash opening batsman who would go on to lead his country to the number one ranked test team, became the first captain in the game to lead in over 100 tests, set records for fourth innings winning chases, and captain for an unbelievable 11 years, yet Smith has never been the most popular player amongst the South African public. His stats have been rehashed all over the broadcast media, TV, print and online, and there’s no need to delve into the numbers again here, but it’s safe to say as a player he was amongst the best, and as a captain he was the best. Some might point to that last statement, particularly those in Australia who would suggest Waugh and Ponting would claim that accolade, and like anything in sport, it’s all opinion based. What I would say though is his record in fourth innings chases can’t be beat, he opened the batting, the most difficult position, for his entire career and still laid the foundation through weight of runs for South Africa’s victories, and the most important element I think, he took his team to number one in Tests, and has been unbeaten away from home since 2006 (incidentally Smith missed this series, Ashwell Prince captained the team that lost to Sri Lanka, so Smith has not lost an away series in over 8 years) and did it all without a Shane Warne, a luxury both Waugh and Ponting had. He also captained for 11 years. The mental toll that will take on anyone can not be underestimated, and the toll it can take on a South African captain, who has the added pressure of racial politics, World Cup failures, and a less than supportive public to deal with. Through all this Smith has been dignified and represented his country with pride and honor. As a cricket he is due respect, and gets that from the rest of the world, but as a man he has earned it. The tide has changed with a new generation in South Africa, players like AB De Villiers, Dale Steyn and Hashim Amla are getting the trust and support that the public never gave to Kalls, Boucher and Smith. Lets hope that continues and that South African’s learn that it’s okay to support your own stars. 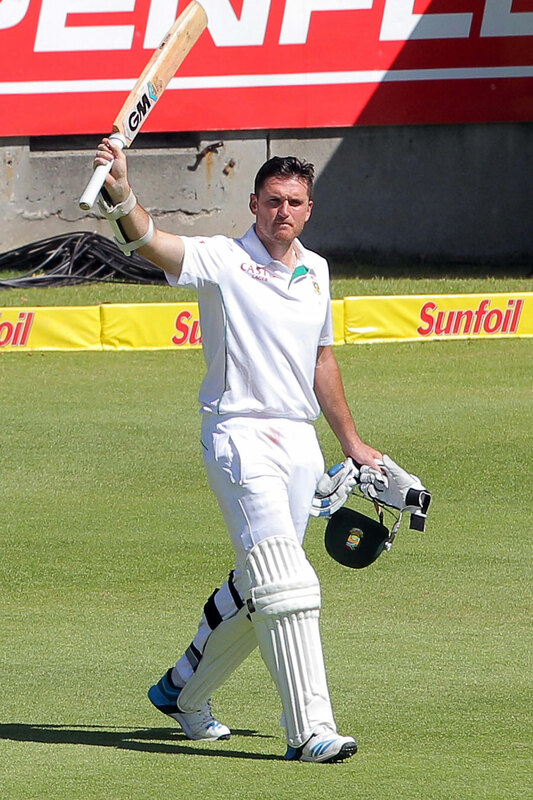 For now though lets show Graeme Smith, a Proteas legend, the respect and admiration he was denied as a player.